The Chafetz Chaim, of blessed memory, tells a parable of a traveler who, in the middle of a long journey, stopped at an inn. He was exhausted and needed to rest for a few hours before continuing his trip early the next morning. At that time an army regiment was staying at the inn so all beds were taken. The innkeeper apologized and told him that there were no rooms available. The traveler pleaded. There must be one bed somewhere in the inn for just three or four hours. The innkeeper wanted to help the man, so he allowed him to use a room which belonged to the general of the regiment, who was away that night but would be back early the next morning. The only condition was that the traveler had to be out before the general returned. The grateful traveler thanked the innkeeper profusely and requested that he wake him before dawn. Then off went the exhausted man, put on his pajamas, and fell into a deep sleep. This parable teaches us an important lesson. A person can begin to behave in accordance with the status and images which have been imposed upon him by the outside world. 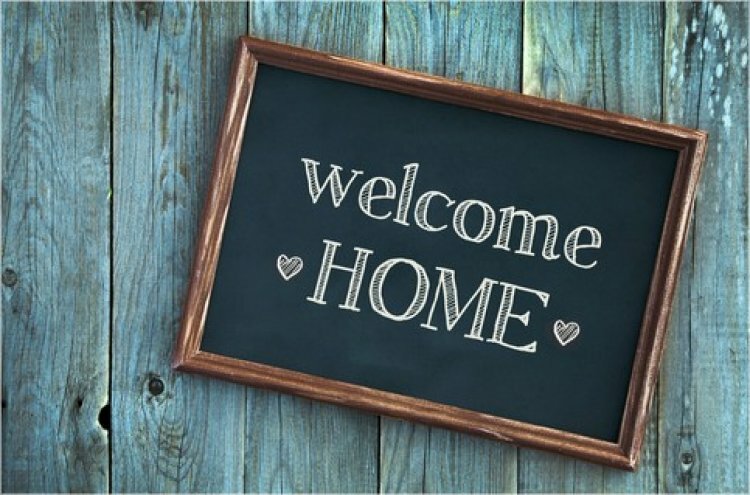 He may have achieved levels of success in his activities outside the home, but when he makes his journey back into the home, he must reassume the role of husband and father. If he continues to behave in the same manner as he behaves with his associates or in his role as teacher, educator, or businessman, this will not enhance his position in the family. He is not compromising his status at home if he sweeps the floor, changes the baby’s diaper, or takes out the garbage. Difficult as it may be, we must be able to recognize our roles as husband to our wives and father to our children as distinct from the proverbial clothes with which society adorns us. Since it is usually the man who is out of the house, he is often in the role of coming home to his wife. It is crucial that we learn how to make the differentiation between home and place of study or place of work. Take, for example, a man who is a teacher. All day long, he is the biggest and smartest one in the classroom. Or a man who is a businessman, he has workers who listen to his every command. Now when he comes home, he must strip himself of the “general’s clothes” and assume the role of husband and father. This transition must take place the moment he enters his home. He must recognize the fact that as he enters his home and kisses the mezuzah, he must shake off the outside world. He is now entering a new world: the most important place in the world to him, his mishkan me’at, his mini—sanctuary. As he kisses the mezuzah all his tensions and problems must be left behind. If a typical day for a man often consists of a somewhat strenuous confrontation with the public or colleagues at work, there is a piece of advice which can assist him in making this precarious transition from work to home. When he finds himself staggering home, focused exclusively on collapsing into his armchair and licking his wounds in peace, he may be rudely awakened to discover that other members of the family have also encountered their daily trials and tribulations. They, too, are in great need of encouragement and support. The husband who wishes to create a haven in his home for himself as well as for everyone else in the family will rally his last reserves of strength. Instead of coming in on a sour note, he will burst into the house with a smile and a good word for everyone. More often than not, this short introduction will set the tone for the evening and create a positive atmosphere in the home. We must round up all of our energies to make this grand entry. But we have to realize that the first two minutes can set the tone for the rest of the evening. If, after coming into the home with a hearty greeting, telling his wife how much he thought of her during the day, learning a little with his children, and trying his utmost to create a positive atmosphere - if, after all that he still needs to collapse into the armchair, then, by all means! Now he is allowed to do so, as he has already created the atmosphere. The golden principle to remember is that moods are infectious. We cannot assume that our household will merrily continue smiling if we enter in a dark mood. On the other hand, we can assume with confidence that our positive, jovial countenance will soon affect the entire home. Indeed, the Rambam wrote that a man should enter his home happy and not sad.